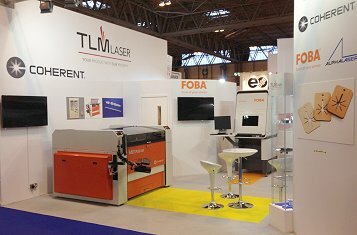 In 2017 TLM Laser will again be exhibiting at four of the industry’s most important shows. At each exhibition, we’ll be creating our stand to ensure it provides the solutions specific to that show’s visitors. If you are in the market for a laser system to boost your productivity and profits, please book the relevant show soon or contact us here at sales@tlm-laser.com. If you’ve already booked, be sure to come and say “Hello” at the event! The UK’s largest regional trade show for advanced engineering manufacturing solutions, innovations and education. The TLM stand will feature the very latest laser plastic welding, laser marking and laser cutting products and solutions. Start-of-the-art laser welding and marking solutions will feature on the TLM stand. Ireland’s leading trade event for manufacturers of medical devices. TLM will be demonstrating how to meet the highest standards of traceability and product safety with an emphasis on UDI compliance. Laser marking and laser plastic welding products will be at the forefront on the stand.